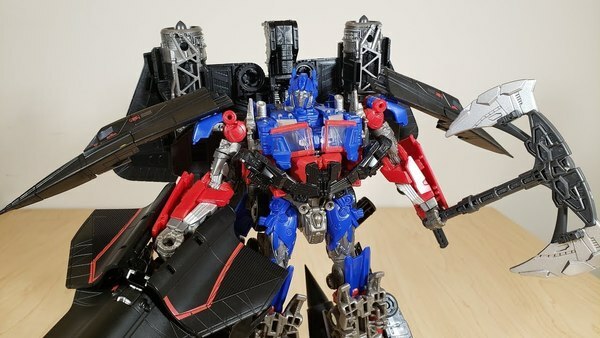 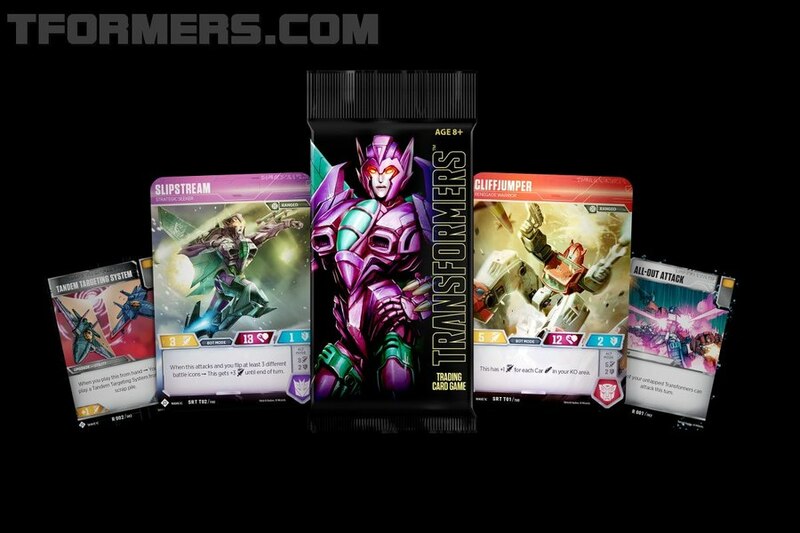 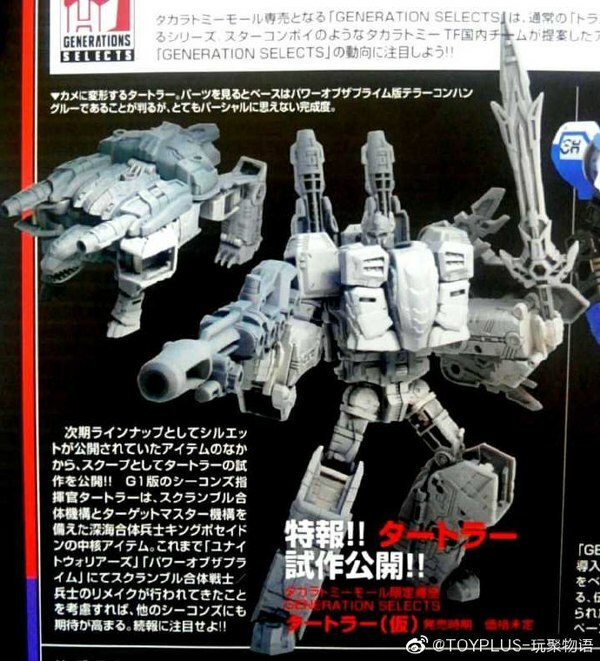 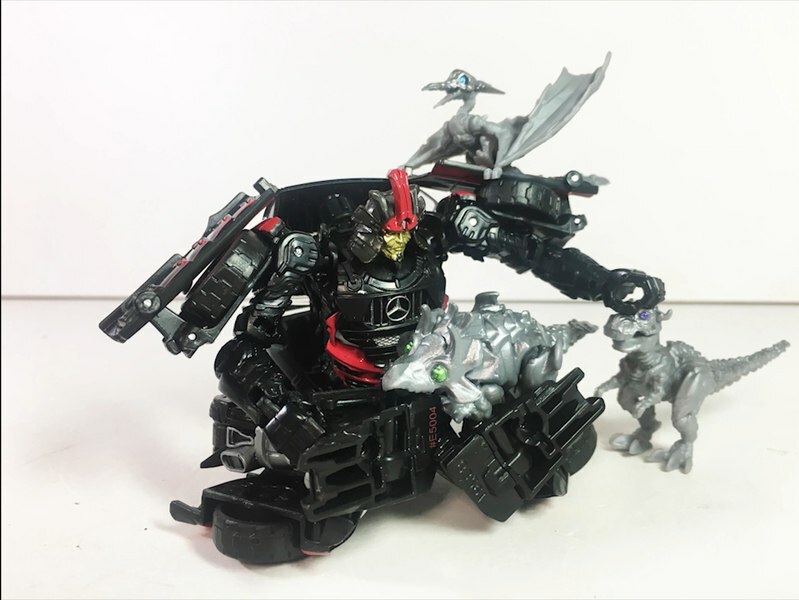 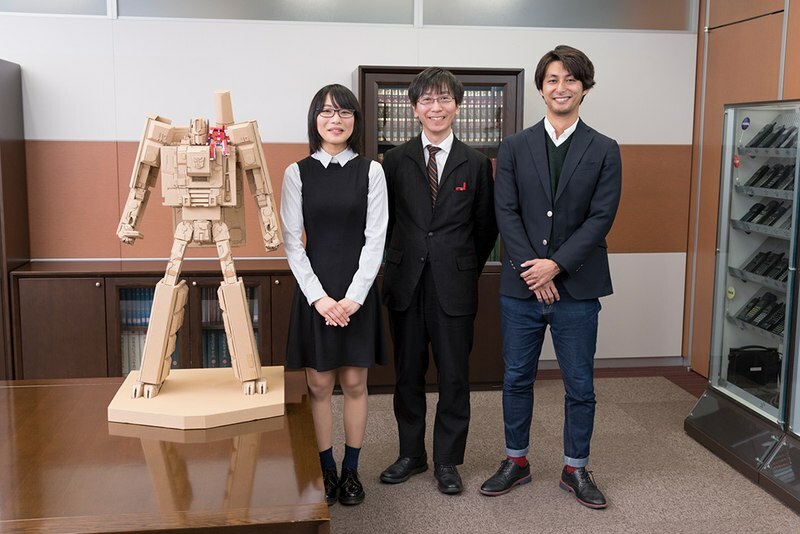 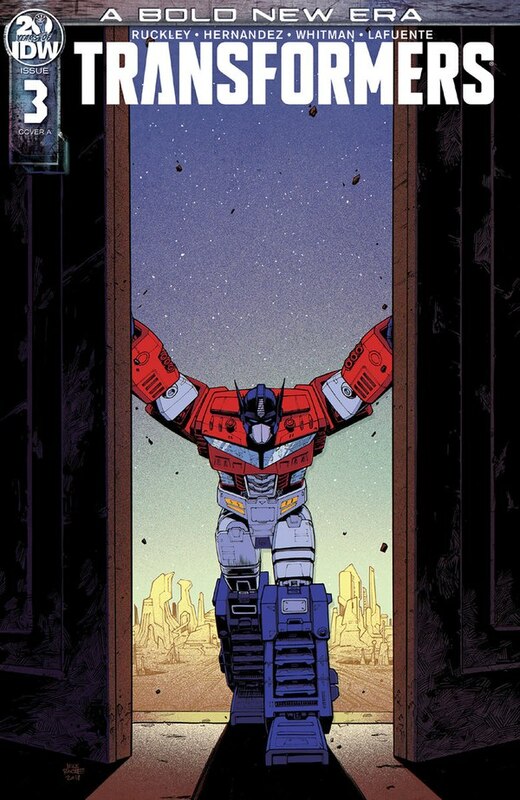 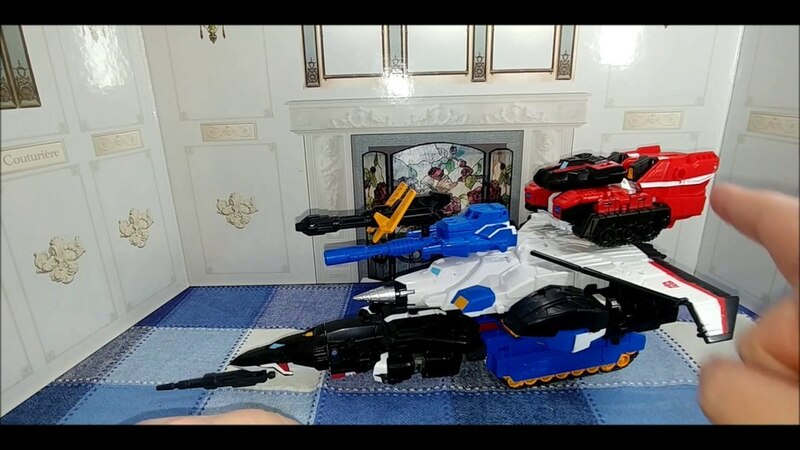 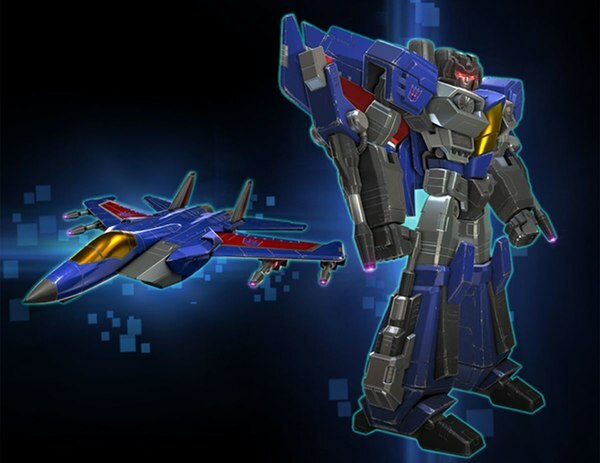 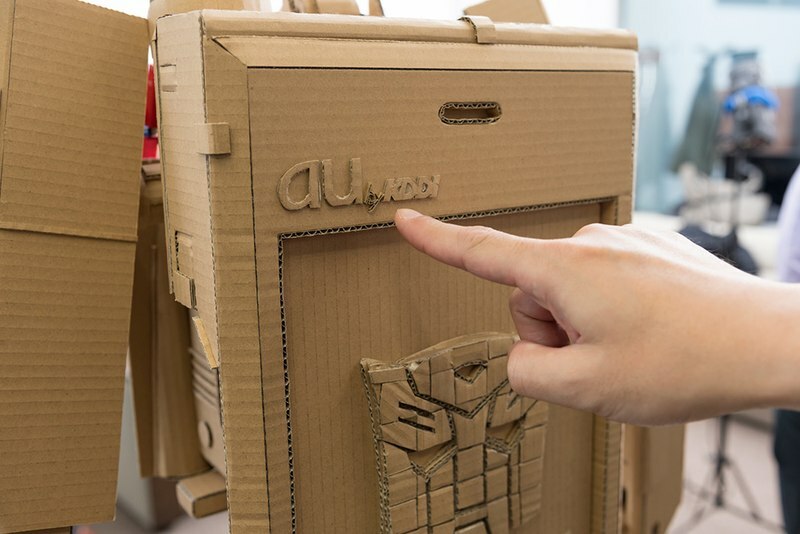 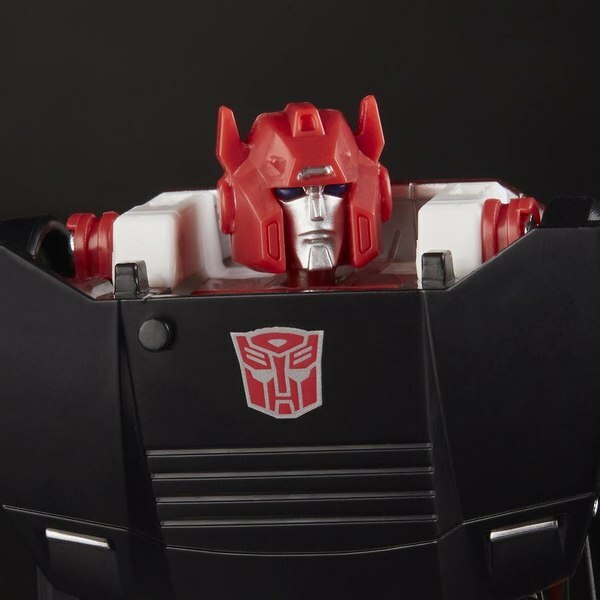 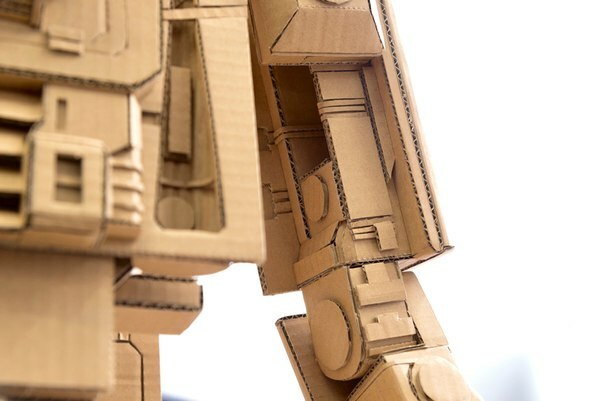 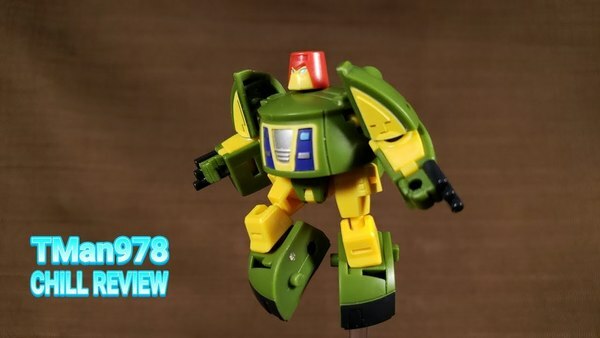 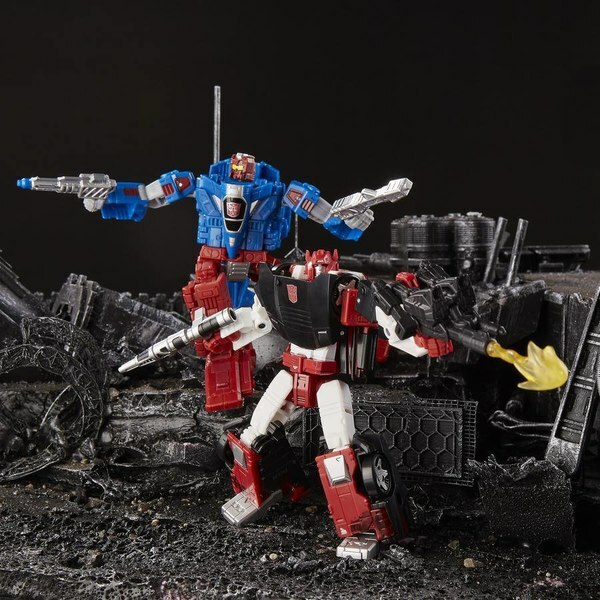 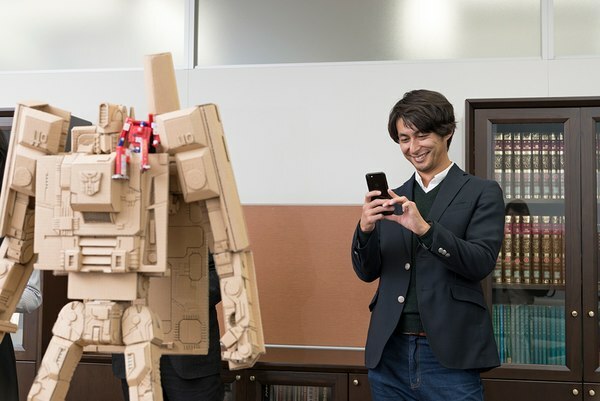 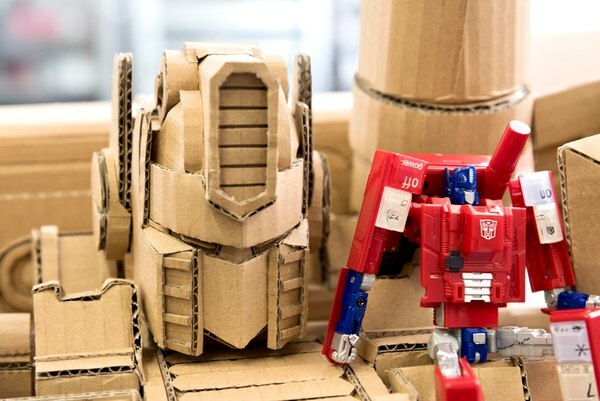 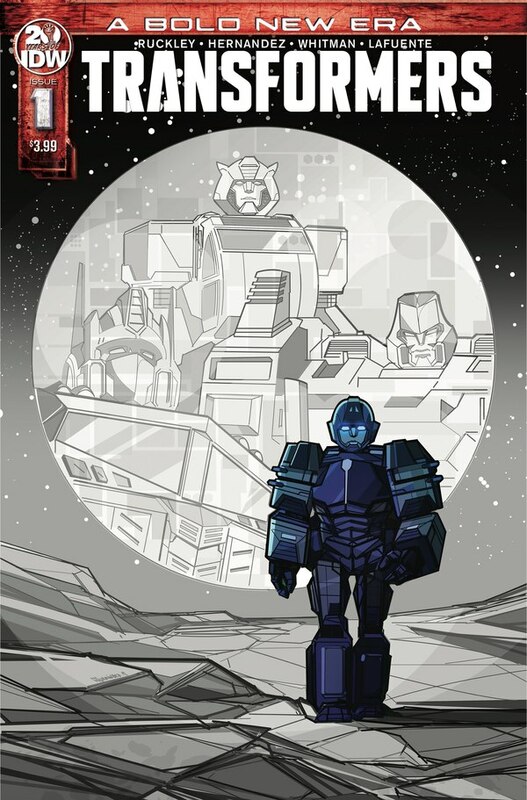 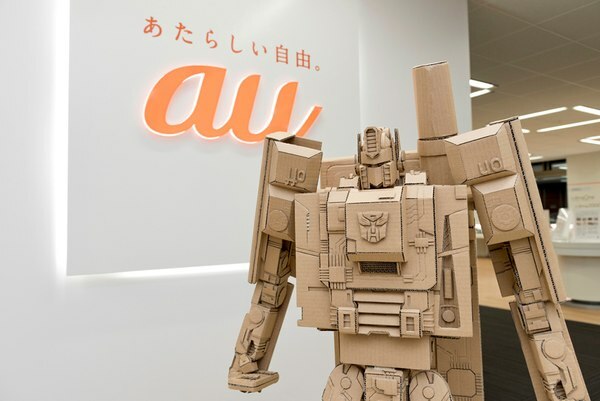 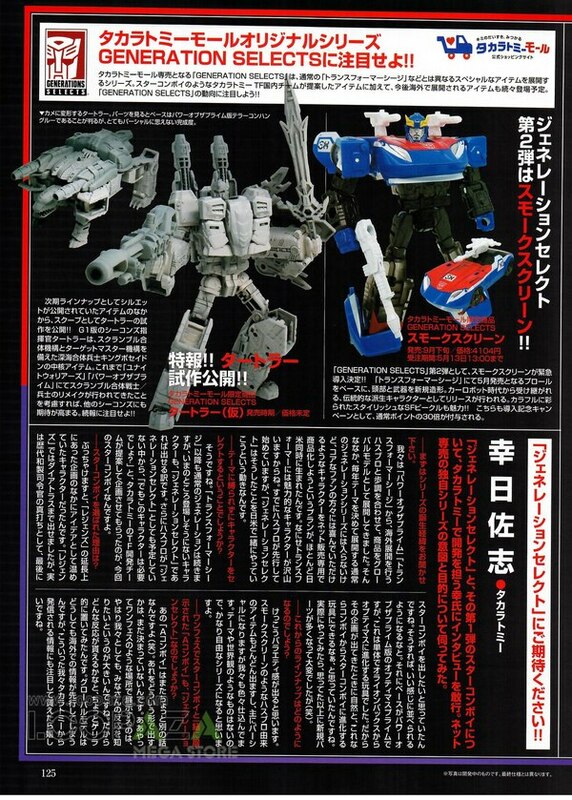 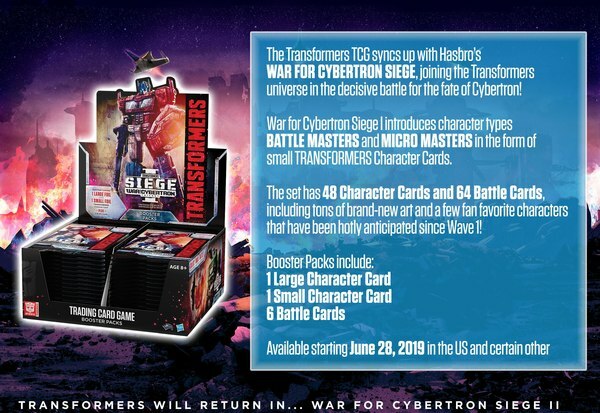 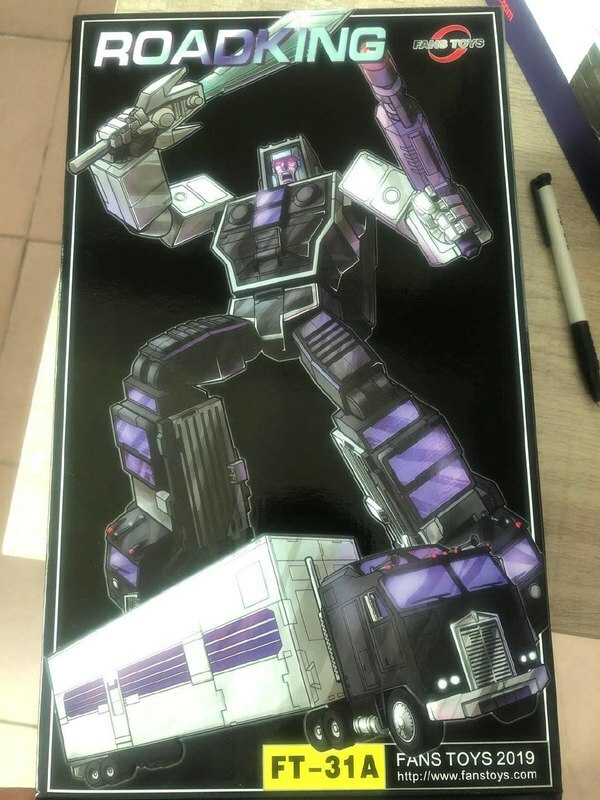 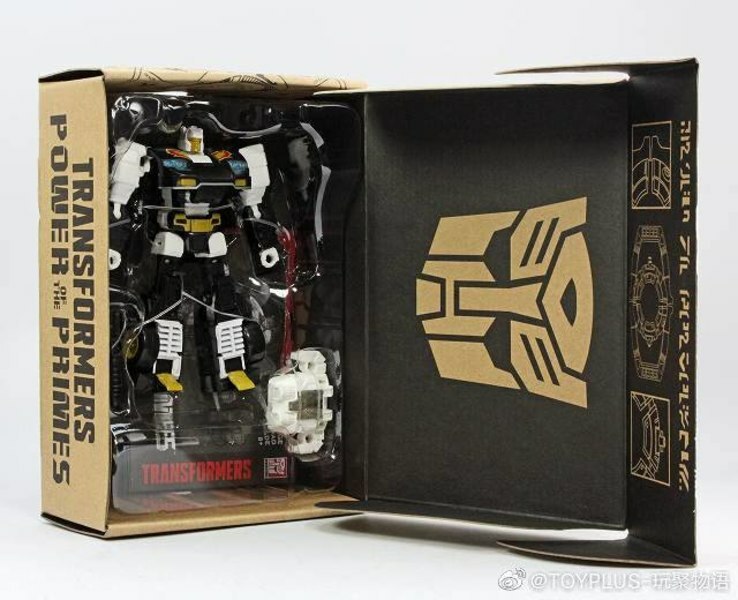 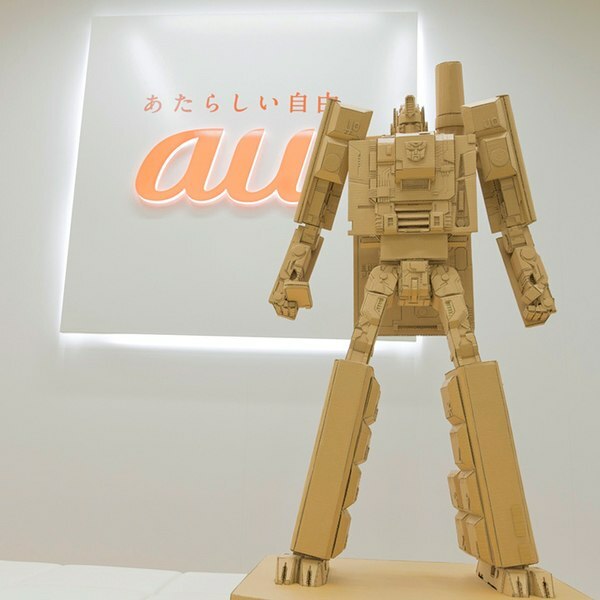 The website Time & Space put up a gallery of images of an interesting new promotion for the AU x Transformers Infobar Optimus Prime figure: a cardboard sculpture of the toy! 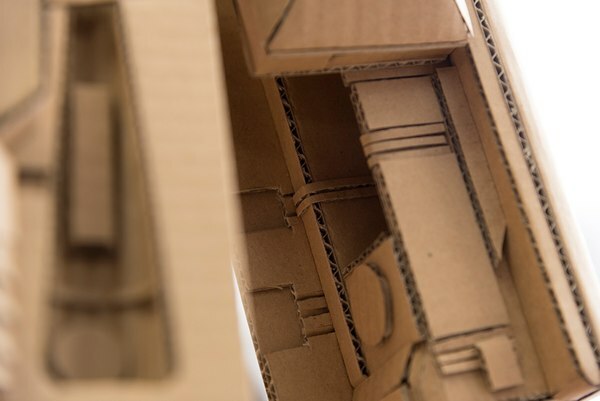 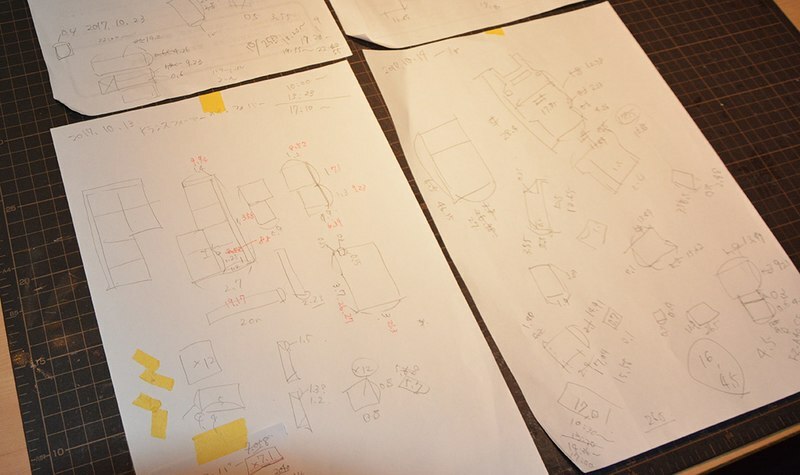 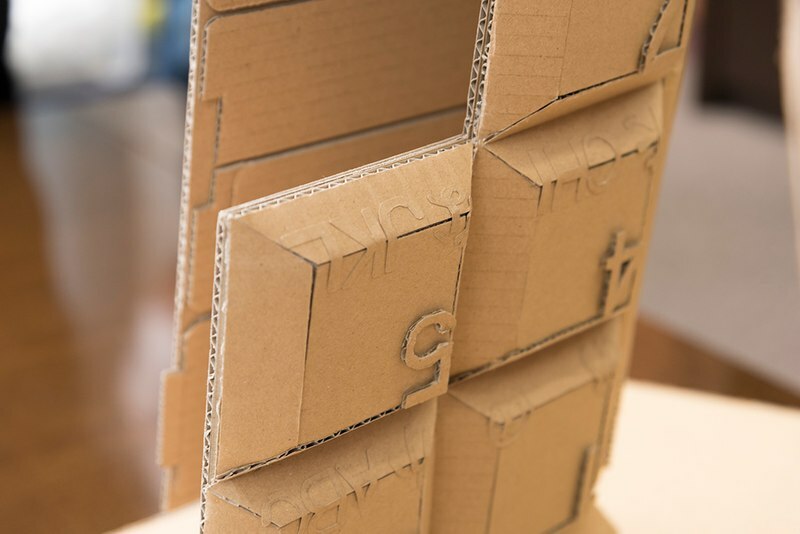 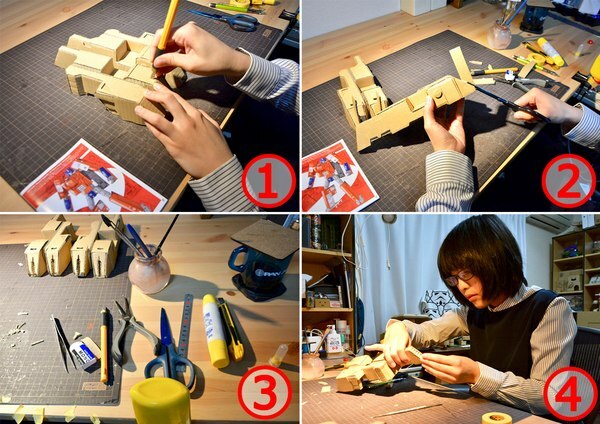 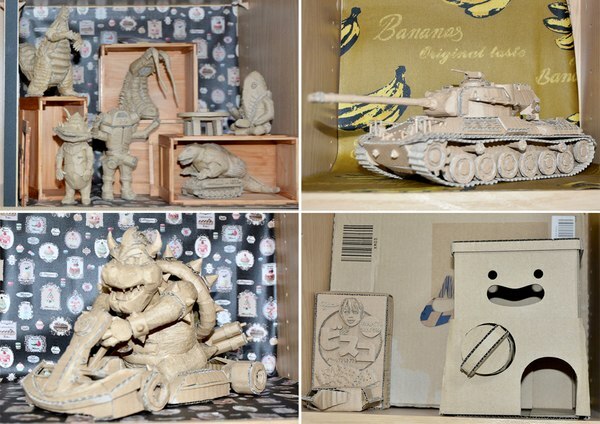 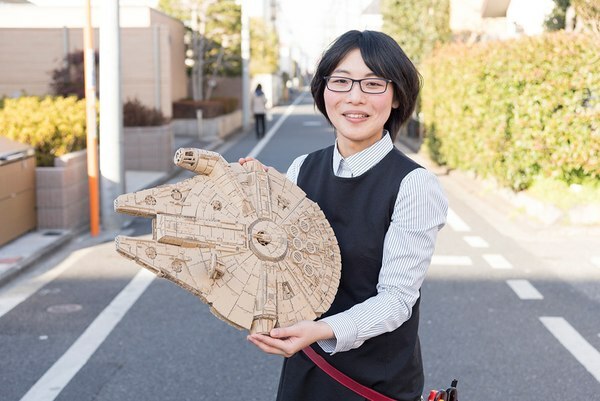 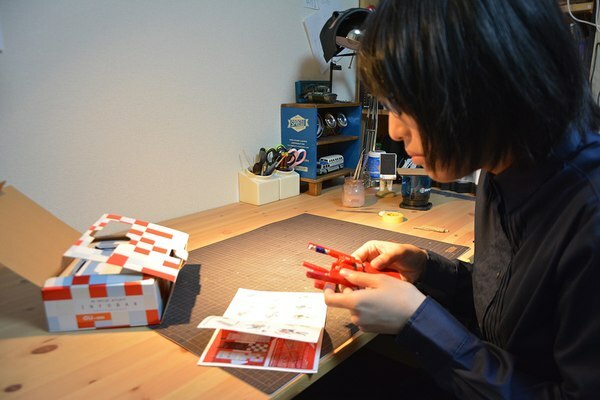 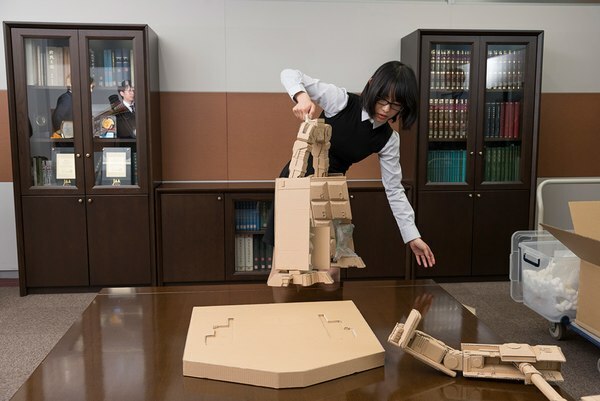 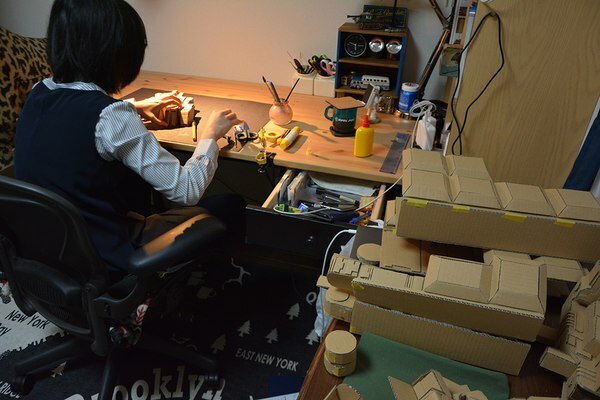 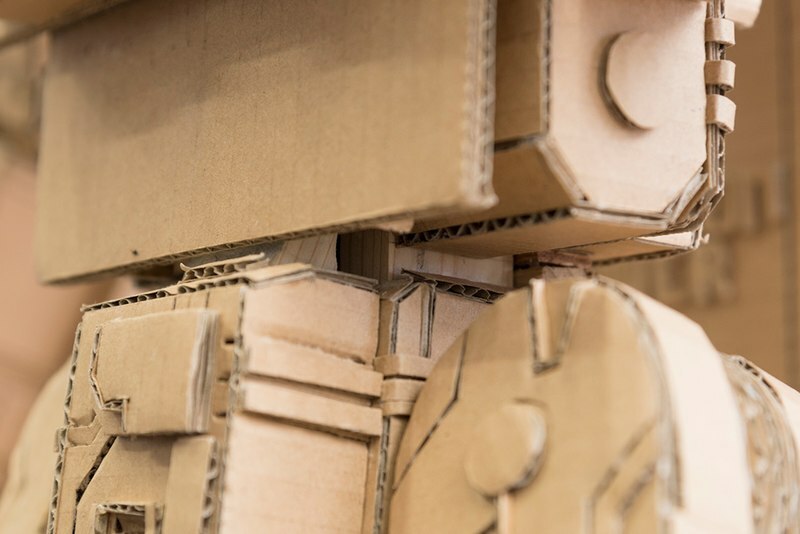 The intricately designed and assembled sculpture is the work of artist Monami Ohno, whose work in the medium of cardboard is very impressive indeed- even the logos and numbers on the phone parts are carefully-cut cardboard. 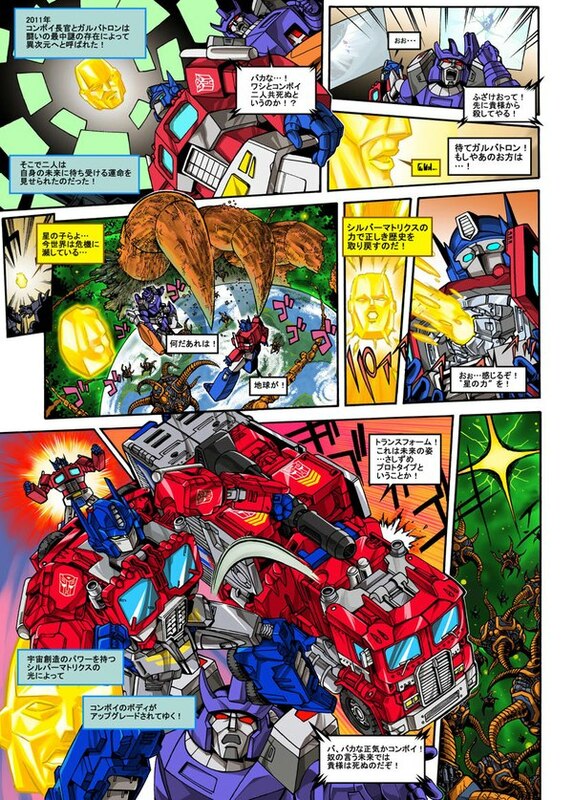 Keep reading to see the image! 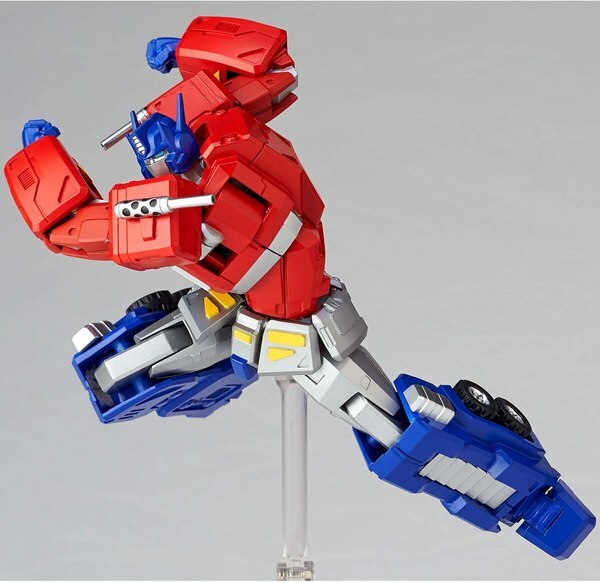 The figure itself is due out on December 16th for a price of 3,800 Yen. 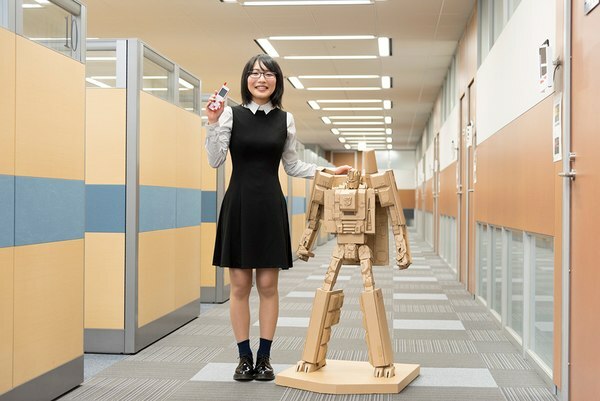 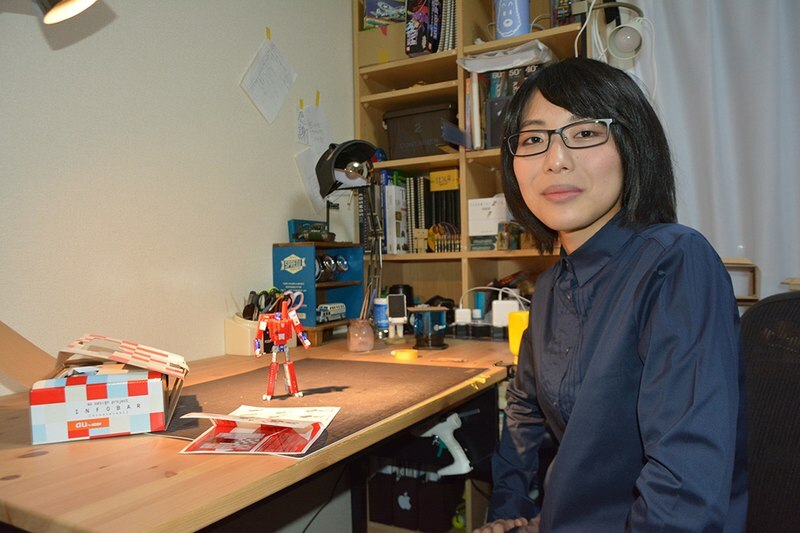 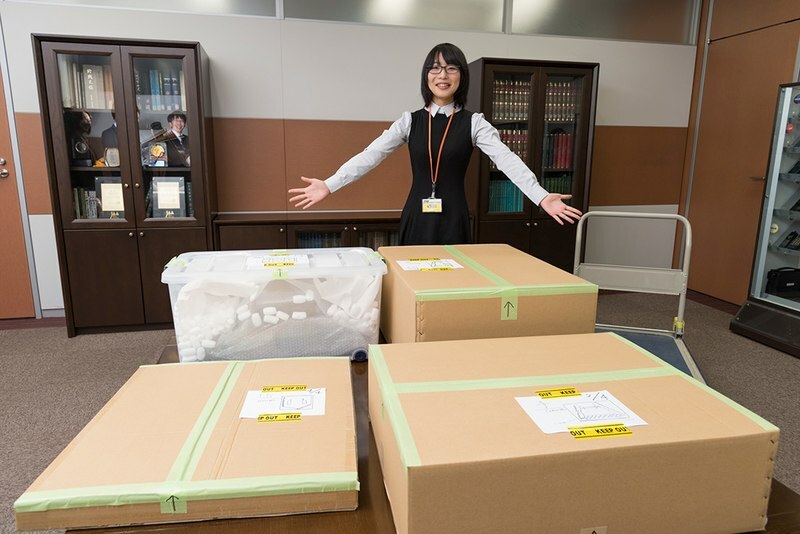 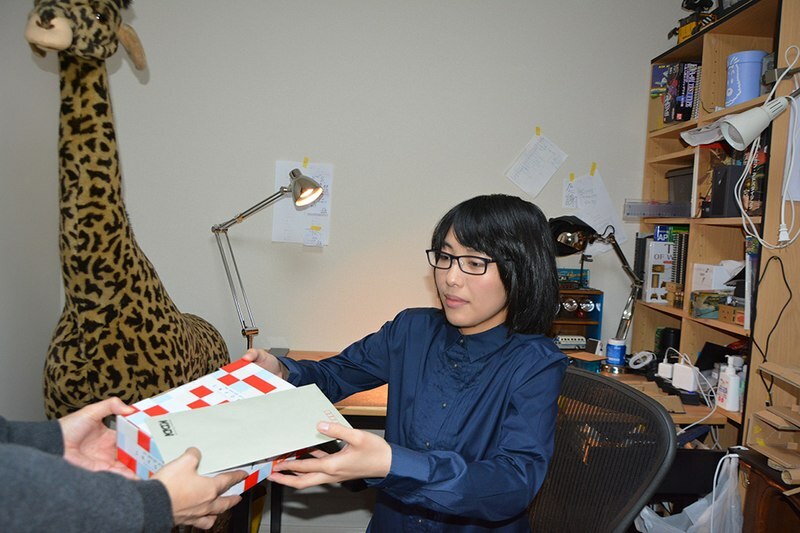 Check out Ohno's Instagram link below to see some of her non-Transformers subjects such as a Dragon Quest Mimic, Evangelion Unit 01, Star Wars' AT-ST & Millennium Falcon, a Ghostbusters Proton Pack, a Back to the Future DeLorean, and even an Oreo Cookie.